A recent article has tracked the results of legislation restricting breeding practices in Missouri. The Canine Cruelty Prevention Act passed in 2011 has been in effect for three years, yet it has already allowed for the rescue of more than 1300 dogs. 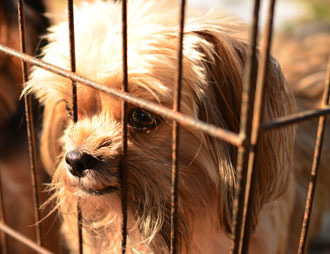 A comprehensive report done by the Columbia Missourian also found that more than $25000 was collected in civil fines and more than nine licenses have been revoked from breeders found to be violating animal welfare laws. These numbers hold special significance when compared to the period of time just before the law was passed during which no civil fines were assessed. Before 2011, the Animal Care Facilities Act had made it extremely difficult to prosecute breeders with substandard conditions due to its vague definitions of cruelty. The case study shows that properly formed legislation is capable of making significant change. In an odd move, one of the largest banks in Russia is offering a unique housewarming gift to new home owners. The bank has created a special service on its website that allows customers to choose a cat to be delivered to their new home. The website offers a variety of feline friends belonging to various individuals associated with the bank with ten unique breeds available. The cats are intended to bring good luck and happiness to the new homeowners. According to Businessweek, the cats are very popular and have been requested several times since the program’s launch. Perhaps the oddest part of the program is the short tenure of each cat in the new home; each homeowner will only get to keep the cats in their home for two hours. An article from Vox published this week explores the notion that dogs resemble those who care for them. Surprisingly, scientific research has been performed to determine the validity of this hypothesis and has yielded incredible results. 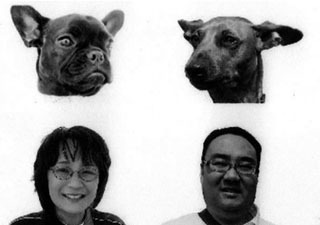 When people are asked to match the faces of people with the faces of dogs, people were able to correctly pair people and their dogs with significant consistency. The experiment has been replicated with the same results. Participants are able to correctly match up dogs and their owners two-thirds of the time! Though there is no indication as to how people are able to achieve such a high success rate, it is apparent that there is some visible cues as to who owns a particular pup. The article puts forth more research that indicates people may simply prefer pets that look like themselves while another study indicates that the eyes are the key factor. Littermate Syndrome refers to the problems associated with adopting multiple puppies from the same litter. These problems are generally limited to bad behavior and the anxiety that is associated with most misbehavior in dogs. Kimberly, a blogger for Keep the Tail Wagging expressed doubts regarding the idea but also admitted that there may be some kernel of truth to the notion, which led to a conversation with an ASPCA Behavior Consultant. As it turns out, there are indeed certain difficulties that generally materialize only when raising littermates. Essentially, the problem can be boiled down to a demand for further care and attention. Two dogs will always be more difficult to raise than one- and when they are from the same litter they may require more training than other dogs to ensure that they grow to be independent. 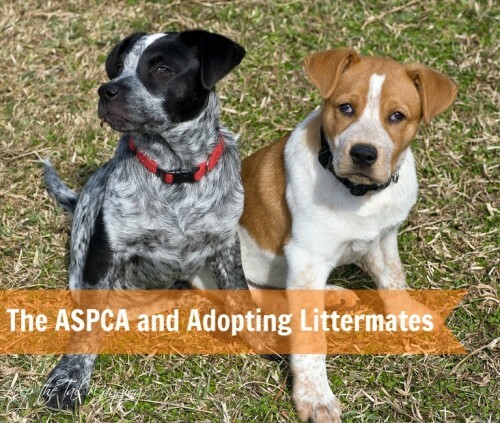 To learn more about littermate syndrome and things to consider when adopting puppies- you can check out the actual post here. Did we miss anything this week that you thought was a big deal? Let us know what you think of this weekly recap in the comments section below!